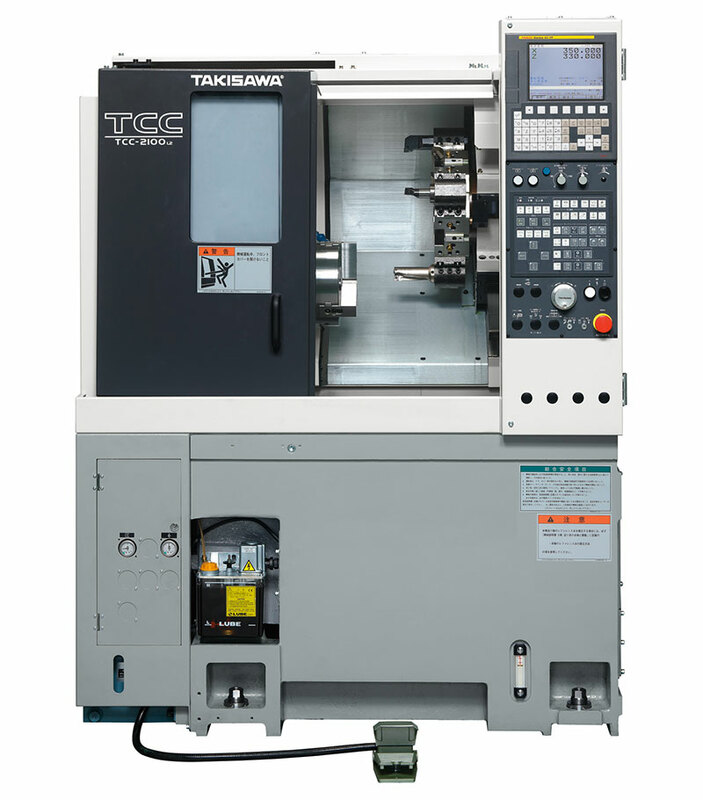 TCC-Series｜Takisawa Machine Tool Co., Ltd.
Increasing production in limited installation area! Gantry Loader Supports Automatic Production! Most suitable for machining small parts such as flange & shafts! 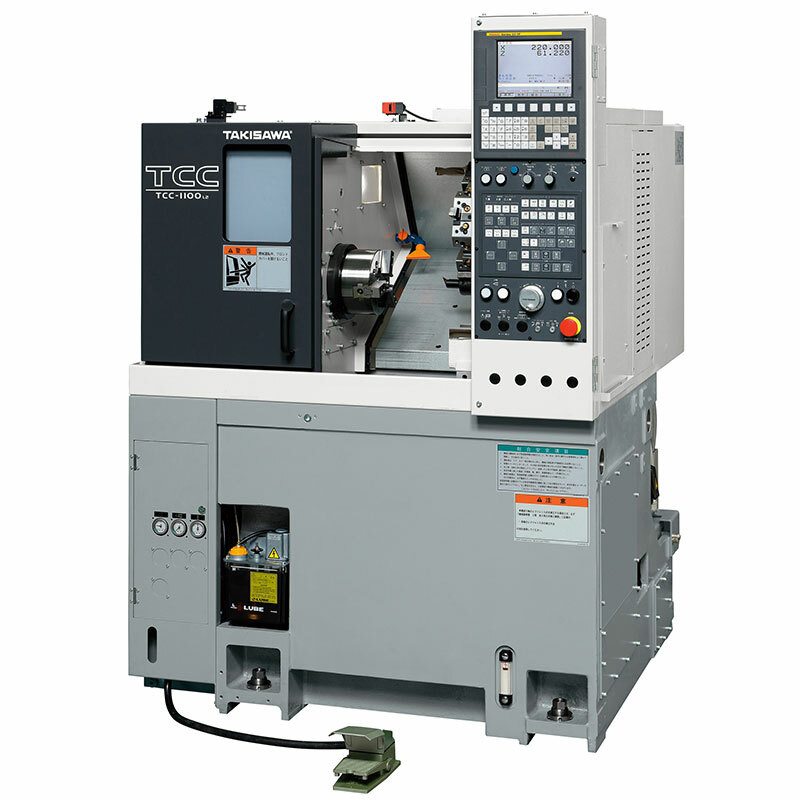 Minimized width and space 6" chuck CNC lathes. The rapid traverse rate is increased compared to our former machines to reduce machining time. Tank bed structure with a large capacity coolant tank. Improved machining accuracy thanks to minimized thermal distortion. All slideways use highly rigid and highly accurate rectangular slides. The turret is available with direct-mount type 8-station and 12-station tools post capable of heavy-duty cutting. *1) Please note the bar capacity follows types of chucks and cylinders. TCC-1100G Meet the operating ratio up. Only 710mm width is added to main body(1170mm). Compact machine supporting the chuck work and center work. 《　》 are specification of spindle speed 5000min-1, 6000min-1. *1) Maximum turning Dia. 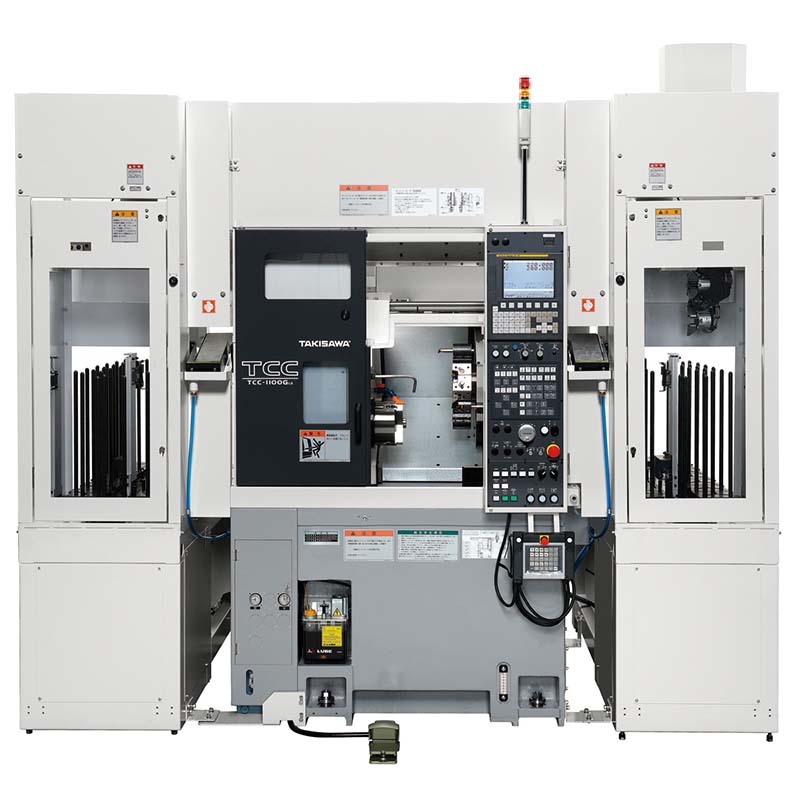 is different at spindle speed 5000min-1, 6000min-1 specification. *2) Please note the bar capacity follows types of chucks and cylinders. TCC-2100GMeet the operating ratio up.